Happy Sunday! Two weekends ago, we had our very first ‘weekend chit chat‘ and you guys seemed to enjoy it as much as I did. We chatted a lot about our home, a little about work and a few other things too! I was excited when many of you wanted it back this week and had such great questions. Let’s dive in. Q: Where did you get your kitchen rug? A: I get a lot of DMs about ‘Where did you get your..’ and I think I may start a page with the most asked questions and answers? I saw a blogger recently who did a blog post like this and I think it would be so helpful! Or maybe a once a month series with FAQ like that? Anyway! This month I’ve been getting LOTS of questions about my rug. It’s from a local antique store, the Refindery, but if you’re not local or want more options- Etsy has so many. Q: Do you count calories? A: Currently, no but I’m not against it at all. As you may know, we’re deep into our Whole (Almost) 30 journey and while it’s great helping me try new recipes, I do miss things like beans that I think can be eaten in moderation. I think when this is over I may go back to a balanced diet and count calories to help reach my goal. 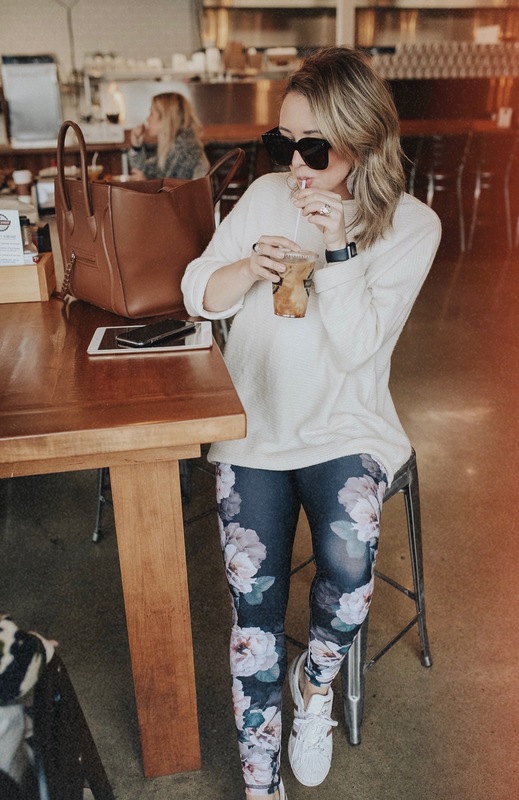 Another Chattanooga blogger just started a new account focused on staying within 1200 calories or less and I love following it. Find her here. A: I haven’t been ordering too much off Amazon this month or in general. I tend to get over the clothes in January and February. I’m sick of winter stuff but it’s too soon to shop for spring. I will say I ordered these Amazon leggings recently and love them, I also grabbed this flirty pink dress for a Valentine’s option and it’s so cute + around $20! You can see all my past Amazon faves here! Q: Have you found any giant bell bottoms that you love? A: Actually, yes! These bell bottoms are a cross between super cute leggings and flatter flare jeans. They come in so many colors and I’m obsessed with the fit. They’re under $100, come in 11 colors and also have a ‘short’ option which means no hemming! Q: Where do you find all your chests, cabinets and accent furniture? A: I really like finding antique pieces or pieces that have a lot of character. I think they are so beautiful and fun! So we do a lot of antique shopping also love ordering online too. Recently, I’ve been loving Arhaus, Hayneedle, and even Amazon! I also love Walmart’s home section they have so many hidden gems! A: This one is a tough one! It really depends so much on the time of year and what’s going on work wise. Sometimes when we’ve had a super busy week, my favorite date night is picking up food and watching a movie at home with the pups. When it’s nice out, I love taking the dogs somewhere downtown for walking and dinner on a patio. My goal for 2019 is to find new date night ideas that aren’t revolved around food! I will do a post with what we find, once we figure out some ha! Q: When will you be doing an event? A: AHH IDK!? What type of event would yall like to see? As you know I’ve been majorly cleaning out my closet and have so many to sell. Maybe that should be an actual event and not just online? Q: Best marriage advice for someone newly engaged? A: I think my biggest advice would be to enjoy the little things during your engagement and focus on what matters. I think girls get so caught up in their dream wedding (#GUILTY) that they forget to enjoy the season of engagement too. It’s easy to feel like you have to have everything perfect, but remember that no matter what you will be marrying the love of your life surrounded by those you love, embrace the hiccups, they make a funny story later! Once you’re married, I think it’s important to remember you’re a team, listen to each other and your problems and find a way to fix them together. It isn’t one wins, the other loses. You both win or you both lose.